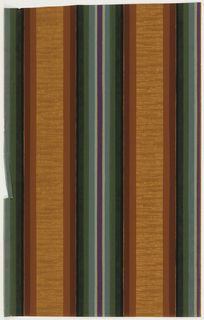 See more objects with the tag stripes, pattern, domestic interiors, sidewall, multicolored, All-over, lines, complementary colors, analogous color. See more objects with the color lightsteelblue darkslategrey slategrey dimgrey dimgrey or see all the colors for this object. This is a Sidewall. It was made by Eijffinger. It is dated 2012 and we acquired it in 2012. Its medium is digital print on non-woven paper. It is a part of the Wallcoverings department. Designed by Irma Boom for Thomas Eyck, this wallpaper is part of Boom’s Colour Based on Nature collection, a group of seven designs from which this was selected. Working from photographs of UNESCO/World Heritage Sites around the globe, Boom has translated each of the landscapes into a digital color diagram. 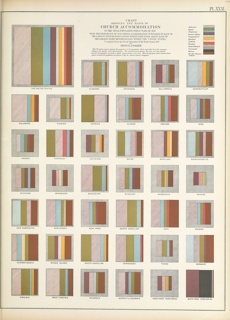 The diagrams were then translated into striped wallpaper patterns and specially mixed colors were created for each of the different palettes. 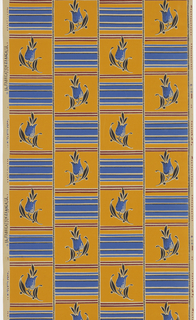 Thomas Eyck pattern 124 was inspired by the Hawaii Volcanoes National Park. Other World Heritage Sites chosen for translation into wallpaper designs include the Wadden Sea, Netherlands, and the Great Barrier Reef, Australia. 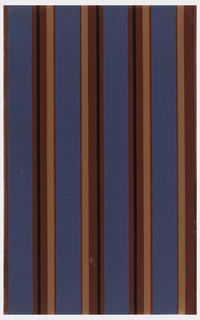 Boom’s design is a unique take on a stripe pattern. There is a delicate balance to the design created by the varying weights and shades. 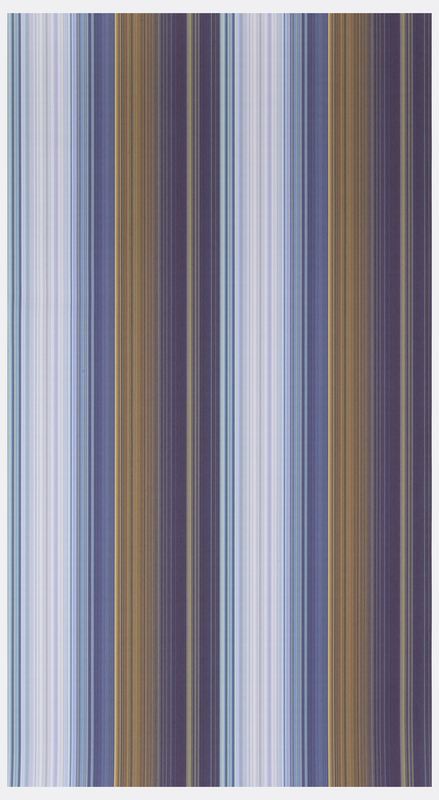 The pattern is unpredictable, and there is almost a sense of mystery in the subtle blending and placement of color bars. 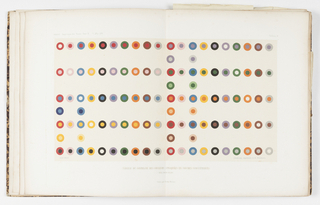 Boom had developed this technique previously for a book designed for the Royal Printing and Binding Society, in which she translated into color diagrams the paintings of 80 artists spanning five centuries. 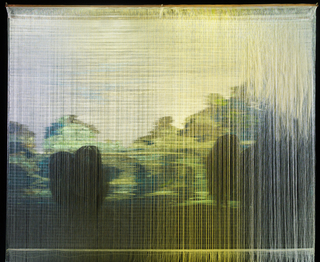 Acquiring papers by top contemporary artists and designers is an area of collection priority. At the time of proposed acquisition, the museum’s group of artist and designer papers dates back to the early 19th century scenic wallpapers and is especially strong in 20th-century designs. The paper under consideration will help keep this group current. This object was featured in our Object of the Day series in a post titled Eruption of Color. It is credited Gift of Thomas Eyck.